"Loni This, Loni That": Things I learned about myself today. I found out some new things about myself. "Louisiana has made great investments through the creation of LONI." also, "The institute uses LONI to drive research and education"
This is another Loni that has a blog. And then there was a bunch of crap about Loni Anderson. 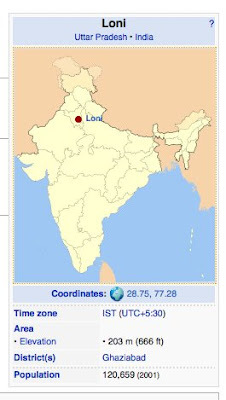 Mostly, I'm excited that I am a place in India. "you're only 49% literate, and you are also a dwarf from Lord of the Rings." Kinda burst my bubble. Thanks Bud. I learned that you are 54% male and 46% female. how's that for bursting your bubble!? I love this post and it makes me miss you! This is your long lost cousin AMy from missouri! I just found your blog! It's very cute but random! But i just wanted to say hi! Take care! I Loni.....haven't heard about you lately so I decided to visit your blog....I am glad that you found yourself! Hope the job and school are going well for you.